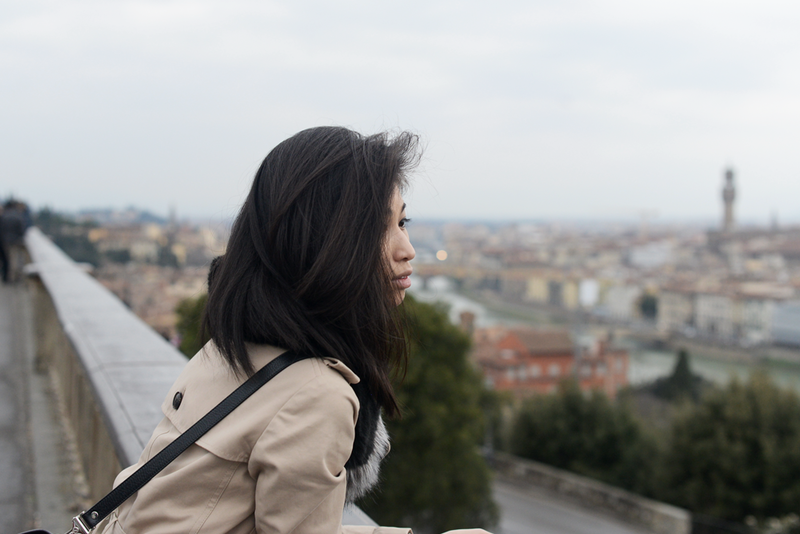 My time in Florence was short, but it was definitely worthwhile. 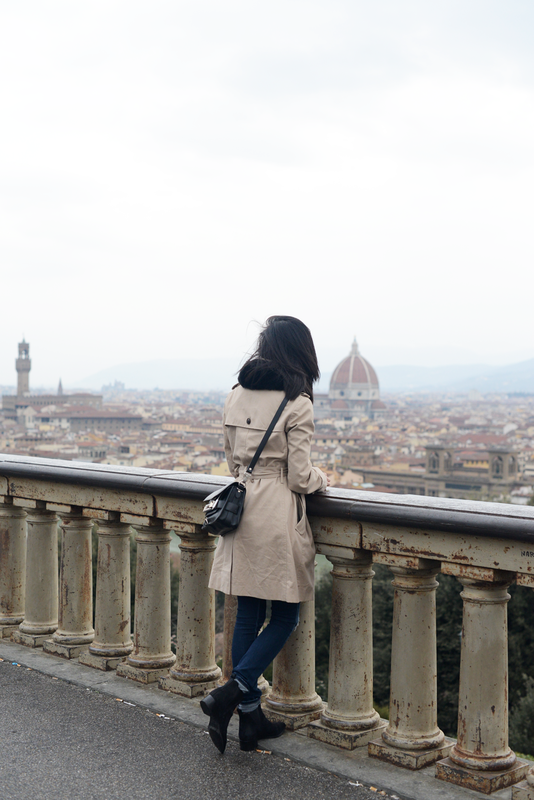 Although it rained like crazy during my 2-day stay, one of the things that I was able to do was climb up to the Piazzale Michelangelo to see the stunning view of Florence. 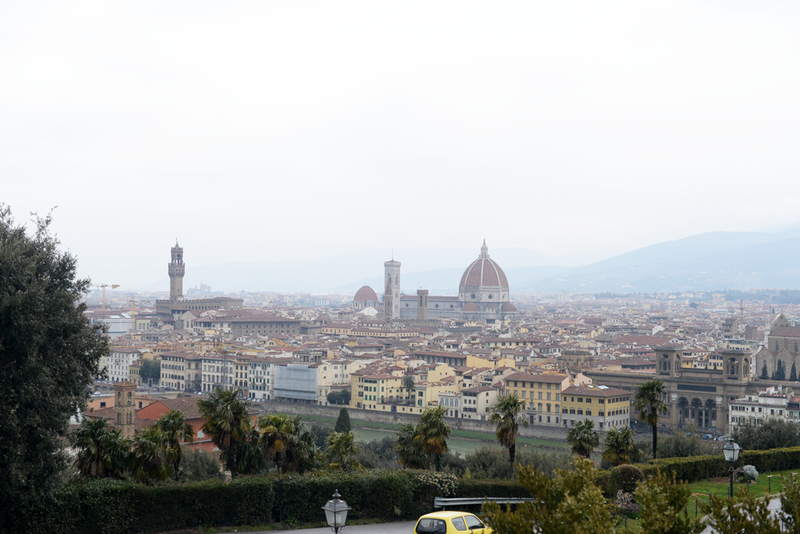 In itself, Florence was very claustrophobic for me with the narrow sidewalks and thousands of tourists. 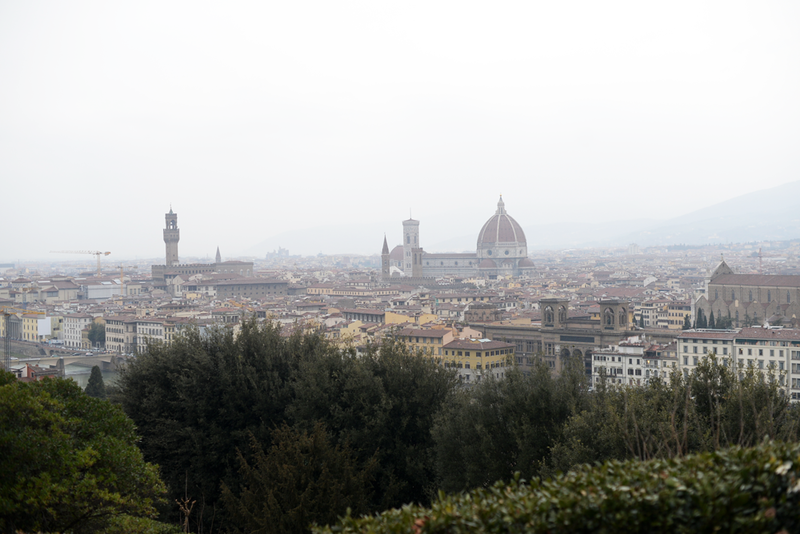 It was hard for me to actually enjoy the city and breathe in some of the special things that Florence had to offer, however, I was able to visit the Gucci Museo for a cappuccino and tried the blueberry steak at Acqua Al 2 (highly recommended). 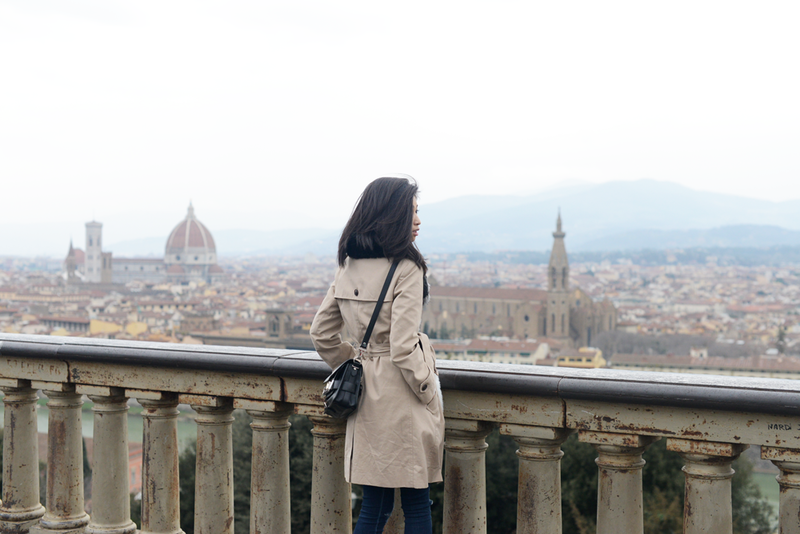 I also discovered my favorite gelato spot in Florence -- it's called Filo and it's located right under the hill to the Piazzale Michelangelo. 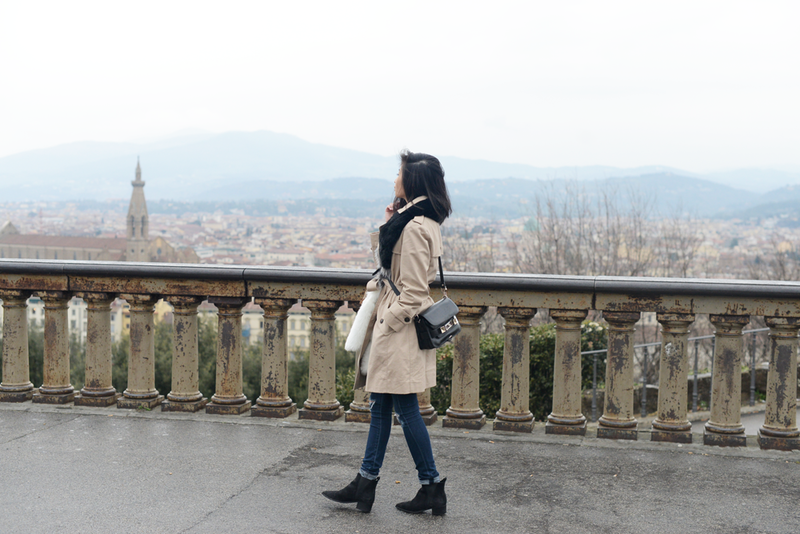 Before heading to Italy, I predicted that the weather would be relatively calm, so it didn't cross my mind that I would have to be prepared for rain. 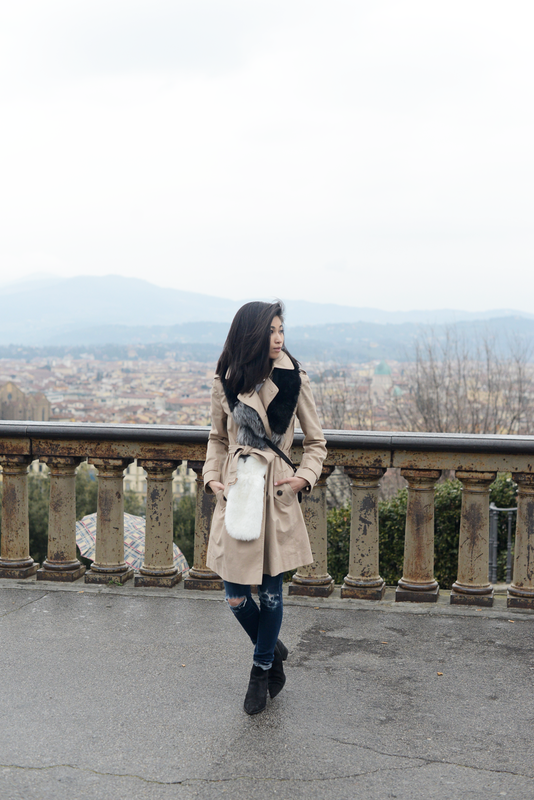 This was probably my heaviest outfit the whole trip -- I had on a sweater underneath this trench and tied my fur scarf around to keep it from getting wet. Luckily I had brought along my Acne Studios boots this trip since all of my other shoes were flats. Despite being suede, these boots were tough enough to combat the rain and cobbled streets and I couldn't be more grateful that these amazing shoes are a part of my life -- even though I haven't treated them well at all.